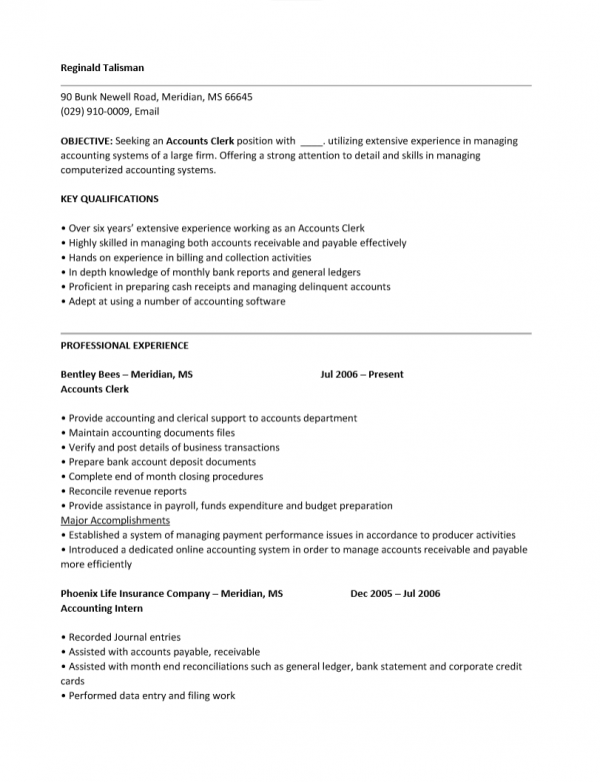 The Accounting Clerk Resume Template is a form which will provide clearly defined sections that one may use as a guide when creating a resume. Each section is a subject matter a job hunter wishing to be taken seriously should present to a hiring entity. Accounting clerks can be found in any accounting office where personnel is needed to maintain data systems (hard copy or database). They will tackle the meticulous process of making sure information is present, accurate, and readily available. 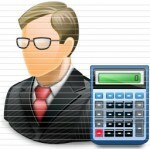 They will also perform bookkeeping functions and act as administrative support for the accountants in the office. The market allows job postings in this field to require a combination of any of the above and/or some not mentioned here. In light of this, some companies may not require much more than a college degree while others may require specific certification. While companies will mostly determine what they look for in a candidate, a general rule of thumb is to clearly show your skills, experience level and/or education. A resume form will aid a candidate by providing a formatted document, complete with headings, which may be easily revised as a job search progresses. This will be a time saving tool which can be employed to personalize a resume and send that resume to a potential employer relatively quickly. Such a tool will give users an advantage over those who do not use it. Step 1. Enter your first and last name at the top of the page make this the most noticeable line on the resume. Step 2. Enter your contact information below your name. Step 3. Write two to three brief statements in the “Objective” section describing your goals and/or professional identity. Step 4. The “Key Qualifications” section is where you will confirm you have skills matching the requirements listed in the ad. Make a list of these skills. Step 5. The “Professional Experience” section is a history of your employment. Make sure to include information such as where you worked, how long you’ve worked there for, and what you did there. Step 7. If you possess any useful abilities not previously mentioned list them in the “Additional Skills and Capabilities” section.